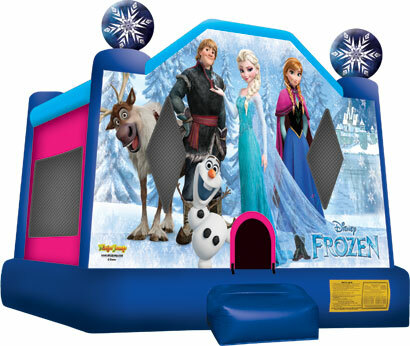 READY 2 BOUNCE is a family owned and operated business based out of Norridge and Palatine that serves Northern Chicago and its North and Northwest suburbs. We have several different styles of moonwalks. Our units are safe and clean. They are great for Birthdays, Block Parties, Family Reunions, Picnics, Fundraisers, Church Events, School Events, Corporate Events, Forest Preserve Parties. We provide outstanding service at suprising rates. We are fully insured. Please don't hesitate to call us with any questions. Our moonwalks will make your next party a great success. ANTIOCH, ADDISON, ARLINGTON HEIGHTS, BARRINGTON , BARRINGTON CENTER, BARRINGTON HILLS, BARRINGTON WOODS, BUFFALO GROVE, BENSENVILLE, CARY, DEER PARK, DEERFIELD , DEERPATH, DES PLAINES, ELK GROVE VILLAGE, ELMWOOD PARK, ELMHURST, EVANSTION , FOX RIVER GROVE, GLENCOE, GLENDALE HEIGHTS, GLENVIEW, GRAYSLAKE, GURNEE, HARWOOD HEIGHTS, HAWTHORN WOODS, HIGHLAND PARK, HOFFMAN ESTATES, INVERNESS, ISLAND LAKE , ITASCA, KENILWORTH, KILDEER, LAKE BARRINGTON, LAKE BLUFF, LAKE FOREST, LAKE VILLA, LIBERTYVILLE, LINCOLNSHIRE, LINDENHURST, MEDINAH, MORTON GROVE , MOUNT PROSPECT MT PROSPECT, MUNDELEIN, NILES , NORRIDGE, NORTHBROOK, NORTHFIELD, PALATINE, PARK RIDGE, PORT BARRINGTON, PROSPECT HEIGHTS, RIVER GROVE, ROLLING MEADOWS, ROSELLE, ROSEMONT , ROUND LAKE, SCHAUMBURG, SCHILLER PARK , SKOKIE, STREAMWOOD, TOWER LAKES, VERNON HILLS, WADSWORTH, WAUCONDA, WAUKEGAN, WHEELING, WILMETTE, WINNETKA, WOOD DALE﻿.